Kathy Ko Chin is president and chief executive officer of the Asian & Pacific Islander American Health Forum (APIAHF), a national health justice organization which influences policy, mobilizes communities, and strengthens programs and organizations to improve the health of Asian Americans, Native Hawaiians, and Pacific Islanders. Kathy has worked in senior management positions in community-based and philanthropic organizations throughout her 30 year career. Most recently, Kathy was the program director for the Community Clinics Initiative (CCI), a joint project of Tides and The California Endowment, which supports the infrastructure development of community clinics and health centers in California through grantmaking, learning and knowledge sharing, and data and research. The $130 million, 10 year program, has funded over 90% of all the community clinics and their associations across California. All of this work evidences her long-standing professional commitment to non-profit community organizations for more than 30 years. This work has been conducted in various forms including as staff, as a consultant, and in a governance role to non-profits and foundations in areas such as program development, strategic planning and positioning, and capital facilities development. 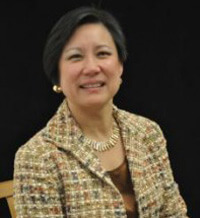 Kathy has also worked in a number of health care settings and community clinics across the country, including San Francisco General Hospital, University of California San Francisco Institute for Health Policy Studies, Planned Parenthood SF, South Cove Community Health Center in Boston, and with the longest tenure as the Associate Director of Asian Health Services. Kathy is a graduate of the Harvard School of Public Health, as well as of Stanford University, with additional coursework at the London School of Economics and Fudan University in Shanghai.